6:1 Then he left that place and traveled to his homeland – and his students followed him. 6:2 During the Sabbath he began teaching in the temple, and many who heard him were amazed. They said, “Where did this man get these things – the wisdom he has been given and the miracles that have occurred from His power? 6:3 Is this not the builder – the son of Mary, the brother of James and Joseph and Judas and Simon? Are not his sisters here with us?” Thus they were offensive towards him. 6:5 He therefore didn’t perform any great miracles, except that he laid his hands upon a few sick people and cured them. 6:6 He was amazed at their lack of faith. Then he traveled around the surrounding villages and taught. 6:7 Then he summoned the twelve1 and began sending them out in pairs – giving them the authority over impure spirits. 6:8 He instructed them to take nothing for their journey except a staff: No script, no bread, and no money in their belts. 6:9 Just to wear sandals – and not two robes. 6:10 Thus he said to them, “If ever you should enter into a house, there you should remain until you leave that place. 6:13 And they cast out many demons and anointed many sick people with olive oil and cured them. 6:17 For Herod had sent for John to be arrested and imprisoned because of Herodias – who was married to his brother Philip – as Herod had married her. 6:19 Thus Herodias held a grudge against him and wanted to kill him but couldn’t. 6:20 Because Herod revered John – knowing him to be a devoted and holy man – and respected him. When he heard from him, he may not have understood, but what he heard brought him joy. 6:21 Then when an opportune time had arrived, Herod held a feast with his ministers, captains and chiefs of Galilee. 6:23 So he made her this promise, “Whatever you will ask from me, I will give it to you – up to half of my dominion. 6:26 And the king was saddened – but because of his promise in front of everyone at the table, he did not deny her. 6:27 Immediately the king instructed an executioner to bring his head back. The man went to the prison and beheaded John. 6:28 And brought his head on a platter and gave it to the girl, and the girl gave it to her mother. 6:29 When John’s disciples heard of this they came to remove his body and laid it in a tomb. 6:30 Later his messengers met with Jesus and reported to him everything they had done and everything they had been teaching. 6:31 Then he invited them, “Come with me to a secluded spot and rest yourselves for awhile.” For there were many people coming and going and they did not have time to eat. 6:32 So they left for the secluded spot by boat. 6:33 As the crowds saw them departing, they recognized him and many ran on foot from different villages and assembled there ahead of them. 6:34 When Jesus arrived, he saw the large crowds and he was compassionate towards them because they were like sheep without a shepherd. So he began to teach them many things. 6:39 Then he instructed them to have everyone sit down in groups on the green grass. 6:40 So they sat down in groups of fifty or a hundred. 6:41 Then he took the five loaves and the two fishes and looked up towards the sky and offered them to God. He then broke the breads and divided the fishes and gave them to his disciples to pass out to everyone. 6:42 Then everyone ate and was filled. 6:43 When they picked up the broken pieces of bread and fish, they filled up twelve baskets. 6:44 And about five thousand people had eaten the loaves. 6:45 Then immediately he instructed his disciples to get into the boat and travel to the other side into Bethsaida while he sent away the crowds. 6:46 After he had sent them away, he departed to a mountain to pray. 6:47 By the time evening had come, the boat was in the middle of the sea and he was alone on the land. 6:48 Then he saw them struggling to row because the wind was against them and by the fourth watch of the night he came to them, walking on the water, and could have passed them. 6:49 When they saw him walking on the water, they cried out because they thought they were seeing a ghost. 6:51 Then he stepped into the boat with them and the wind stopped – and they were greatly awestruck. 6:52 For they did not understand the loaves – because their hearts were hardened. 6:53 After crossing over, they landed at Gennesaret and moored there. 6:54 When they stepped off the boat, people immediately recognized him. 6:55 They ran through the country carrying sick people on cots to where ever they heard he went. 6:56 And whenever he entered a village, town or region, they placed the sick in the streets and sought to touch him – even just the hem of his robe – and those who touched him were cured. 1. Verse 6:7. 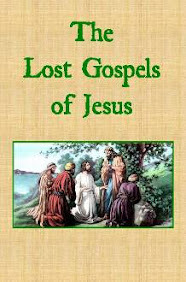 Luke 10 indicates that he sent out a total of 72 disciples in pairs. It is presumed that the twelve were part of the 72 total.